By F Mactaggart for Scottish Jazz Space, May 16, 2018. 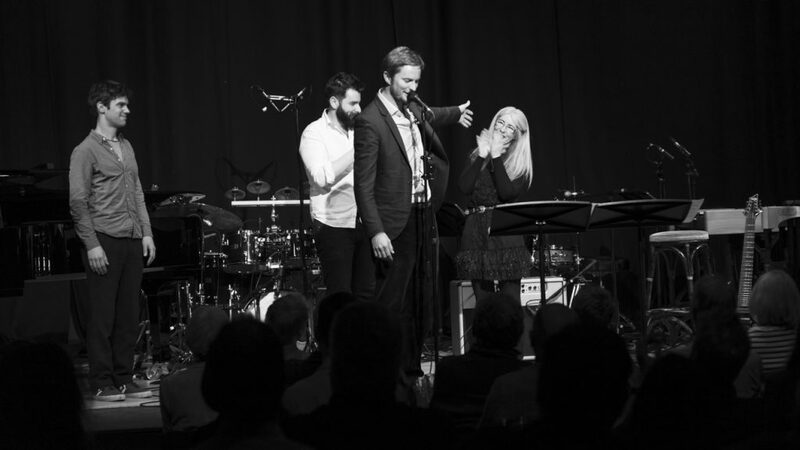 This is the trio’s debut album launch gig in Scotland, the English launch having taken place last March over a three day residency at London’s Ronnie Scott’s. Much of the album, aptly named ‘Standard Time’ issued by Ubuntu Music, is aired tonight. 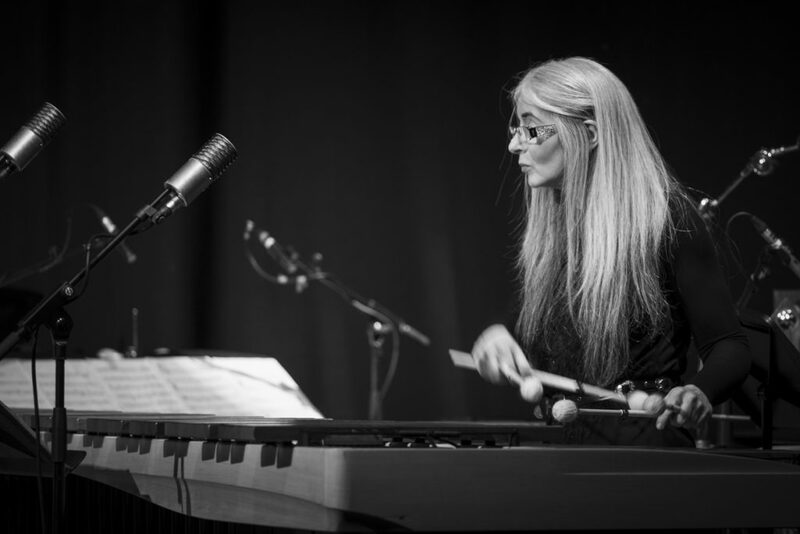 Led by evolved composer and classical pianist Rich Harrold, with widely respected 8- string electric guitarist Ant Law and drumming wizard Rich Kass, the trio are joined tonight by pre-eminent Scottish classical percussionist, Dame Evelyn Glennie. Renowned US jazz alto saxophonist Steve Lehman, the second guest on the album, is not joining the trio on the current tour, yet it is a compliment to a young jazz trio that it can attract collaborators of the stature of Glennie and Lehman. From the second number onwards Glennie joins in on most pieces, mostly on marimba and vibraphone. Although not essential to the overall sound, her deft command of the mallets and warm personality are as ever appreciated by a welcoming audience, some of whom may have attended tonight expecting to hear Glennie play her customary 4/4 rhythm, but in the company of Trio HLK are seeing her in a whole new light! A bonus following the Interval is Glennie’s solo on halo drum, a type of hang drum, the limited number of pitches available made up for by co-composer Philip Sheppard’s backing tape, the halo’s appealing timbre and Glennie’s swift attack. However the trio’s level of musicianship is equally impressive. Clearly they are no strangers to the art of improvisation, although tonight there is limited time for this. Guitarist Law is well known to UK audiences from his work with the likes of Tim Garland and Ivo Neame, his mesmerizing, high-speed solos such as in HLK’s version of ‘Anthropology’, showing an already highly developed jazz talent, whilst his rock star-style guitar feedback squalls in Harrold’s ‘The Jig’ (based on a gigue from a Bach cello suite) bring grins to many a face. As for band leader and composer-pianist Harrold, his gently self-effacing style fits well with the whole, tethering the sound, preventing it from rocketing too far from terra firma and allowing him to direct these most intricate of compositions. This is a five-star performance of intelligent and unusual music. Whilst Glennie has long been an established name world-wide especially in classical music circles, Trio HLK has an innovative, highly accomplished and genuinely interesting sound which deserves just as wide a public, and which will appeal as much to forward-thinking followers of neo-classical as it will to lovers of questing jazz.